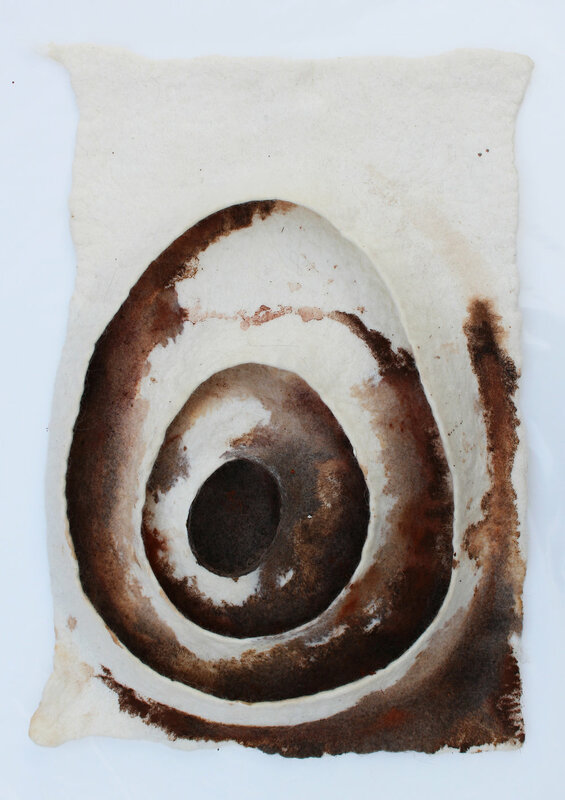 Topographic Organs - Merino + Corriedale Wool, Earth pigment. Left exposed to weather for 2 weeks. 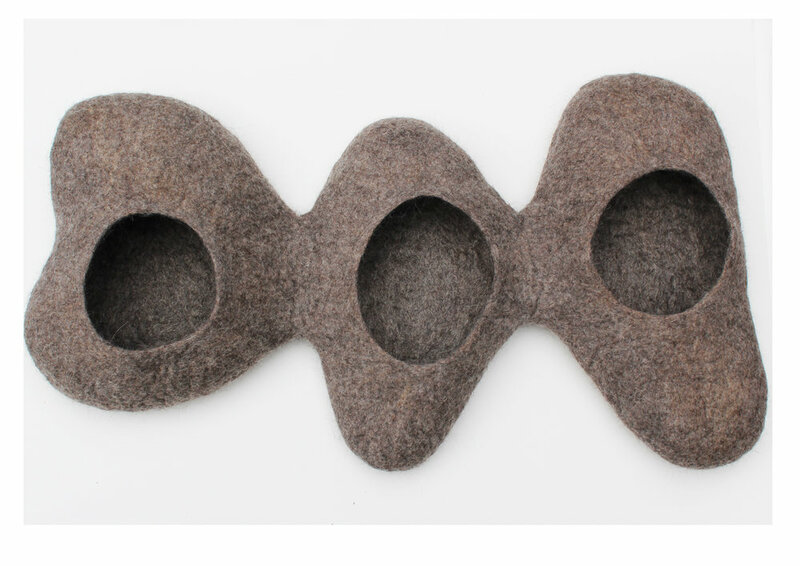 Stalactites - Hand-formed singular felt construction, Merino, Cross-bred wool. Burl IV - Cross-bred wool, Merino wool. Burl III - Cross-bred wool, Merino wool. A Place Where Our Secrets Can Keep - Icelandic Wool, Cross-bred Wool.